A bunch of cool kids are gathering in the desert this weekend for this little-known festival, called Coachella — maybe you&apos;ve heard of it? But if you didn&apos;t snag a ticket or a coveted Revolve invite, then fear not: You can keep an eye on the festival fashion from the comfort of your air-conditioned home via any social media platform or media outlet. And if watching influencers&apos; Instagram Stories on repeat doesn&apos;t ease your festival FOMO, then we suggest indulging in a little shopping to lift your spirits. 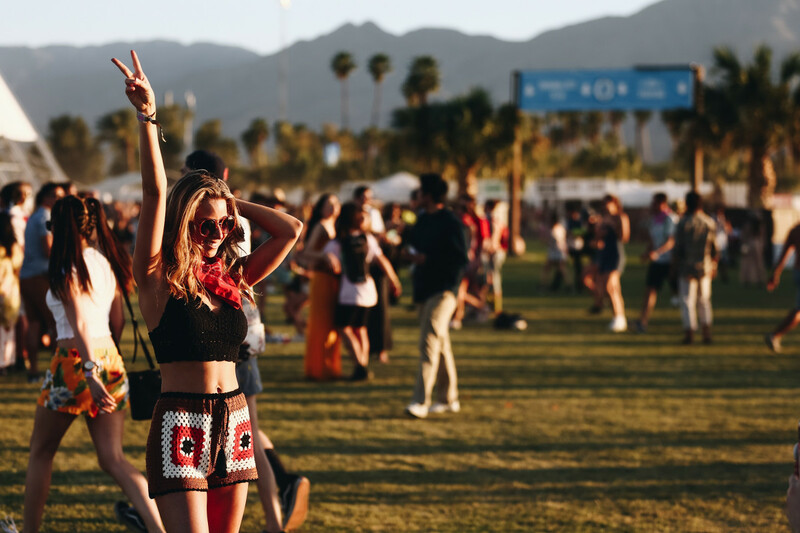 We&apos;ve rounded up 83 online sales going on this weekend that&apos;ll make you forget about that Indio-based music extravaganza altogether. Abercrombie & Fitch: Buy one, get one 50% off all shorts, swim and tees. Aldo: Up to 50% of sale. Alice + Olivia: Extra 40% off select styles. Alternative Apparel: 25% off sale with code SAVENOW25. Asos: Up to 50% off select styles. Banana Republic: Up to 50% off select footwear styles. Barneys Warehouse: Up to 70% off select styles; extra 30% off select styles. Baublebar: Discount on select styles. BCBGeneration: Discounts on select styles. Bluebella: Discounts on select styles. BNKR: Extra 30% off select styles with code SAVE30. Bloomingdale&apos;s: Extra 25% off select styles. Boohoo: 50% off everything with code BOOM. Calvin Klein: Up to 40% off sitewide; up to 80% off sale. Catherines: 40% off apparel and accessories with code SPRING40. The Dreslyn: 25% off with code FAMILY. Express: Extra 30% off clearance. Farfetch: Extra 30% off sale with code FF2019. Forever 21: 21% off regular price orders of $40 or more. Genuine People: 20% off sitewide with code FAM20. H&M: 20% off $60 on all kidswear. Intermix: Spend $400-999, get 15% off; spend $1000-2499, get 20% off; spend $2500 or more, get 25% off. JanSport: Up to 30% off select styles. J.Crew: Extra 50% off all sale styles; 40% off everything else with code SALEUPGRADE. Kate Spade: 30% off everything with code JOYOFSPRING. La Garçonne: 20% off select spring styles with code 99WSPRING20. Lane Bryant: Buy one, get one for 75%. Levi&apos;s: Extra 30% off sale styles with code ITSON. Lord & Taylor: Extra 30% off almost everything with code FRIENDS. Macy&apos;s: Extra 20% off diamonds with code SHINE. Madewell: 20% off $100 or more; 30% off $200 or more with code SPEND2SAVE. Maje: 25% off spring styles. Mille: Extra 40% off all sale with code EXTRA40OFF. Milly: Up to 80% off with code SPRINGSALE. Modcloth: 30% off when you spend $125 or more. Need Supply Co.: 30% off selects styles. NY & Co.: 40% off everything with code 112205. Old Navy: All dresses. shorts, tees and polos are 50%. Rag & Bone: Extra 30% off sale with code SPRING. Sandro: 25% off the spring collection. Shopbop: 20% off orders under $500; 25% off orders of $500 or more with code EVENT19. The Stell: 20% off your entire order with code FRIENDS. Tani USA: 15% off sitewide. Tarte: 25% off select items. Topshop: Up to 30% off select styles. Urban Outfitters: 25% off shorts and graphic tees. Veda: Stock, samples, archived pieces and one-offs all between 50-90% off. Those Memorial Day deals are still going strong!